Our toddler Amelia Earhart pilot outfit is a very unique and cute kid's costume. 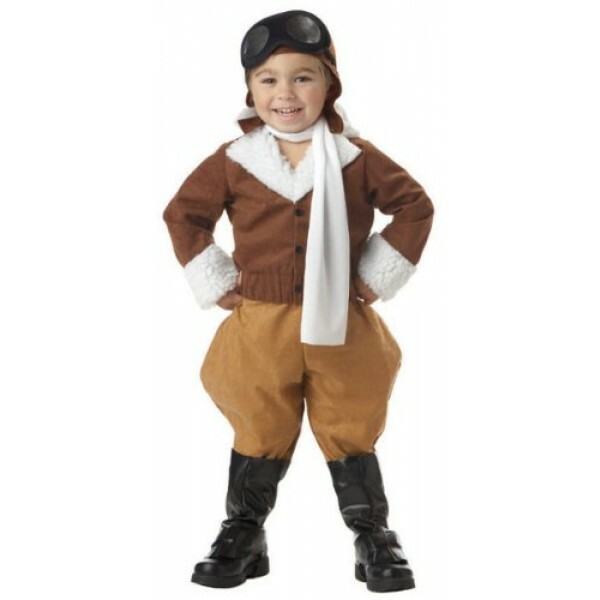 This aviator costume makes a great Halloween costume or new addition to your child's dress-up clothing collection. It also offers a cute idea for your child's next studio portrait. Costume includes: brown aviator jacket, brown pants, aviator cap with foam goggles, and boot top covers. This costume comes in one size which fits most 2T - 4T. For more Amelia Earhart-related items, visit our Amelia Earhart Collection.